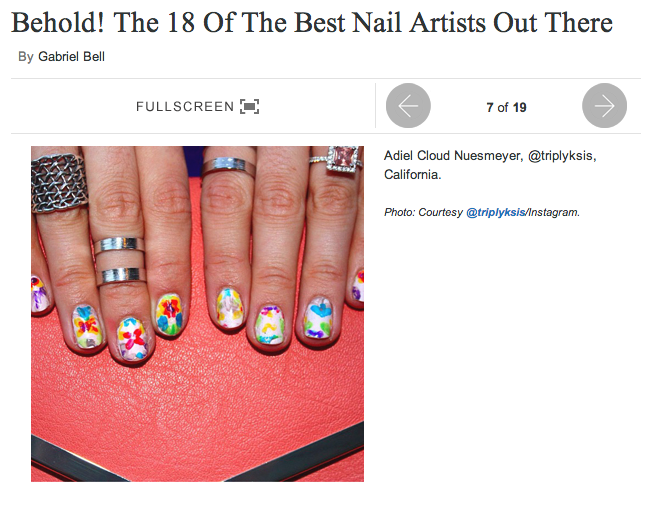 I'm thrilled to share with you the wonderful news that Refinery29 selected me as one of the 18 best nail artists! With this honor comes the opportunity to compete with other amazing artists from across the nation for a chance to visit R29 headquarters and film a nail art video! 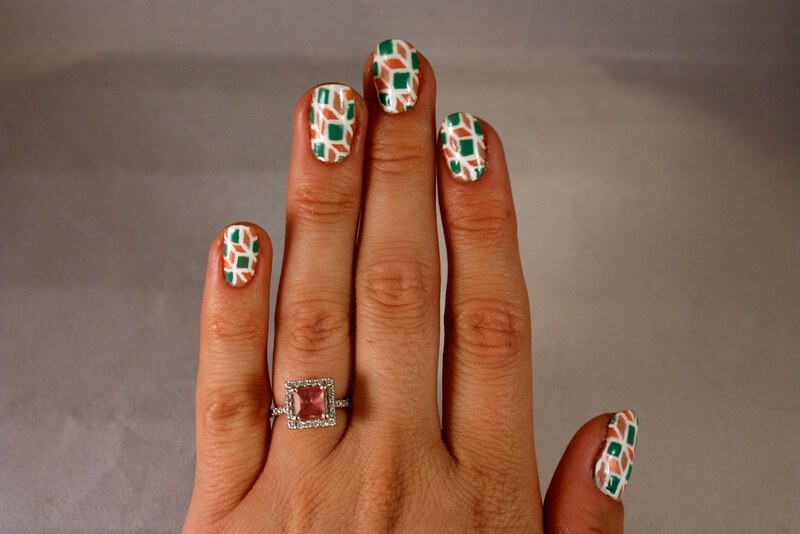 Refinery29 and Revlon sent me a ton of nail polish to work with and challenged us with four design themes. 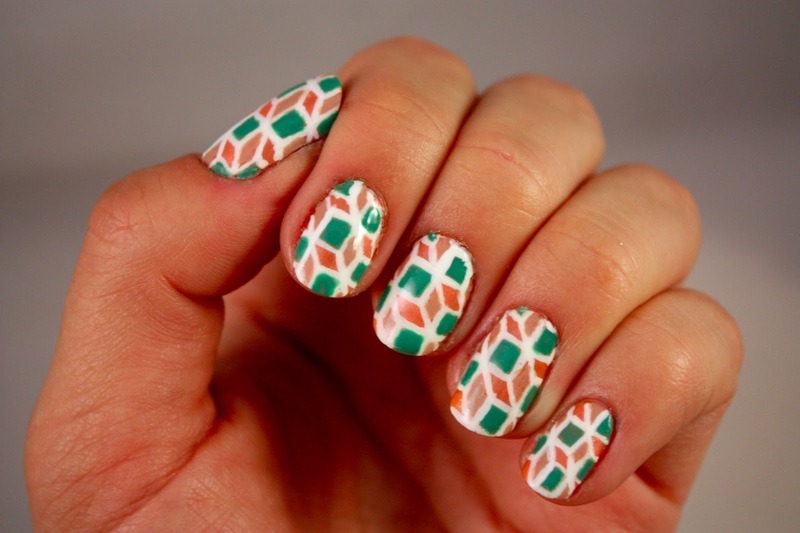 The first of these four themes is live on the R29 site; first up, graphic geometric prints! If you have a spare moment, and I hope you do, please click through to the contest home page and click the little pink heart in the upper left corner to vote for my entry. Your votes may help sway the judges final decision so please take a few seconds to vote! Thank you so much in advance! And here is a closer look at the design I created for this challenge! Stay tuned next week for the second design! I never vote on these things just because I've been asked to vote. It really has to be my favorite of all the choices or I just don't vote at all. Well, I voted for you today. Your manicure is fantastic and most definitely my favorite of all the choices. Great job! omg how fun!! Congrats, hope you win! I voted as much for you as I did myself! Your design is amazing! So effing cool. Congrats this is awesome. Off to vote!